Here are some of our common obstacles and the solutions we have developed over the last few years. Solution: Make them wait a few days. My younger kids used to get very excited when they would get a gift card. They just couldn’t wait to go to the store and use it. They would often buy things just because they wanted to use the gift card. What a waste! Now I have them wait for a time period and really think about what they would like to use the card for. 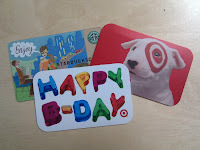 Instead of burning a hole in their pocket, the gift card becomes an asset and they treat it as part of their net worth. Solution: Keeping up with the physical cards themselves can be tricky because the kids would lay them down and forget about them. The cards would get shoved under wrapping paper or make their way under the couch cushions. Then, I was faced with the dilemma of deciding whether to reimburse them for a lost card. Now, as soon as my kids get a gift card, I have the kids immediately put the gift cards in their wallets or give the cards to me. Problem: Mixed up cards – whose Target card is whose? Solution: To prevent mix ups, I have occasionally written their initials on the back of the card with a sharpie. Simple but effective. Solution: We check to see if there are any fees associated with the card. If there are fees or expiration dates, we record those notes in their MoneyTrail account. Solution: If your kids have only used a partial bit of the gift card value, it can be difficult to keep track of the remaining balances. By entering a gift card into their MoneyTrail account, kids can see the remaining balance of their gift cards very quickly. Solution: We enter the cards into their MoneyTrail account. Because they are waiting to use their cards, they sometimes will forget they even have them. Once the cards have been entered into their MoneyTrail accounts, we see the total value in their summary of accounts and don’t forget that they exist! 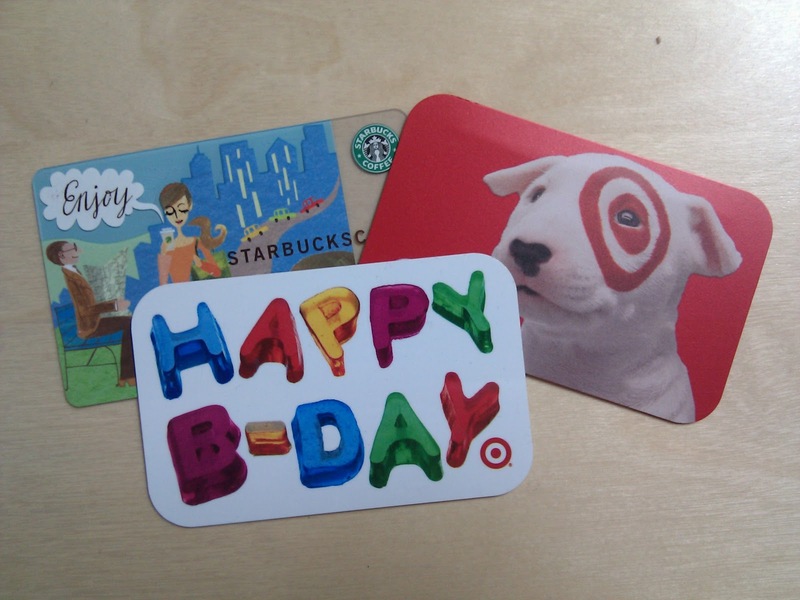 Gift cards are becoming more and more popular. 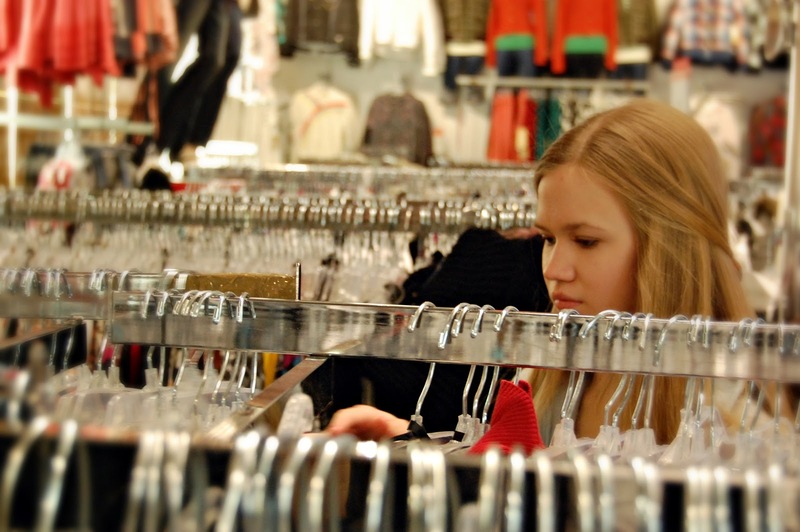 Kids and teens need to learn to manage their gift cards just as they would their own cash. With a little planning and an organized system like MoneyTrail, gift cards can become an asset for kids, not just a free shopping trip. I also love gift cards. until now, i still get some from my friends and loved ones. i still find using them cool. thanks for the great article by the way.